Figure One: Baltigo Island Data Analyis. The above scatter plot compares male and female Baltigo Island spiders in regard to balloon length, weight (in mgs), and total distance traveled. Female spiders have bimodel balloon length, while males have a narrow range of balloon length. Female distance traveled is positively corellated with weight. Male is not correlated. 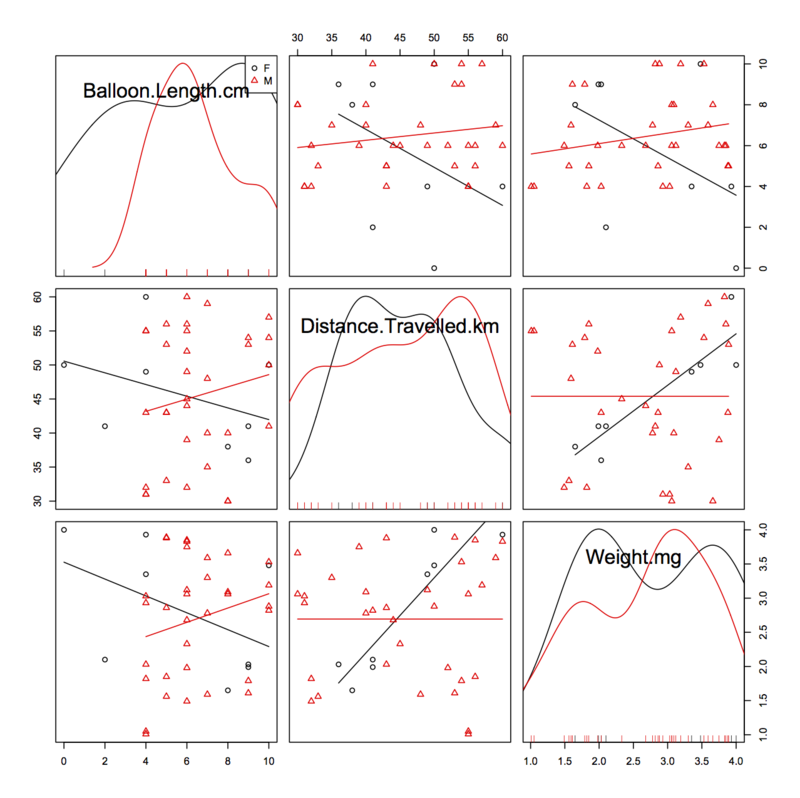 Female balloon length is negatively correlated with weight. Males have a slight positive correlation with weight.